REPAIR AND REPLACEMENT. LOOK AWAKE, LOOK BRIGHT. As we age, one of the most common complaints from patients is that “my friends and co-workers say I look tired.” This is most often related to the aging forehead and eyelid region. 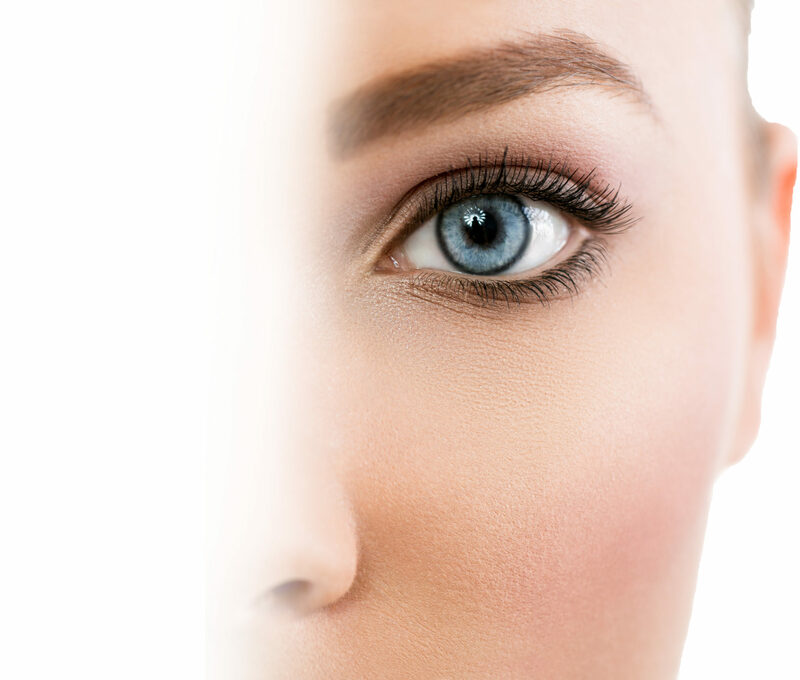 At the Cosmetic Surgery Institute, Dr. Thomas G. Kotoske is especially trained and equipped to diagnose and treat your brow and eyelid issues in the most minimally invasive manner. Cosmetic surgery of the eyelids can dramatically reverse the effects that aging has on this area of the face. Bags under the eyes, drooping eyebrows, and loose wrinkled skin can give a tired, sad, or angry expression to the entire face. The blepharoplasty operation is a very common cosmetic surgery procedure designed to remove excess baggy skin and fat around the upper and/or lower eyelids. In addition, it can help eliminate wrinkles in certain areas, and re-suspend sagging tissues around the eyes. The blepharoplasty operation is often combined with other procedures to rejuvenate or change the appearance of the face, forehead, chin, cheekbones, etc., and create a rested, more youthful appearance. This operation is one of the most requested procedures in the United States by men. The operation is performed by making incisions within the natural creases of the upper and lower eyelids. By placing the incisions in these locations, healing occurs with virtually undetectable scars. The excess skin and any bulging fat is removed from selected areas, and the drooping skin and tissues from the cheek area can be lifted if needed at the same time. If necessary, a browlift procedure can be done at the same time to lift sagging eyebrows back to a normal, more attractive position. Frequently, the lower eyelid incision can be made on the inside surface of the lower eyelid to remove bulging fat and avoid a scar on the skin surface. The skin surface can then treated with laser or chemical peel to achieve the ultimate result. The blepharoplasty operation, when done by itself, is usually performed under local anesthesia with sedation. Operating time is usually about an hour long. Surgery is done as an out-patient procedure, you can be treated and go home the same day. After the operation, there can be some swelling and brusing which typically resolves in 7 to 10 days. These tend to resolve within the first 7 to 10 days. The stitches are removed within 5 to 7 days, and makeup can be applied after this. Most patients feel comfortable returning to work within 7 to 14 days. Complications after cosmetic eyelid surgery are rare, however, any surgical procedure has potential risks. These include bleeding, infection, scarring, excessive tearing, or outward turning of the lower eyelid after lower lid surgery. Ask Dr. Kotoske if you are a candidate for blepharoplasty and see what changes are possible with this versatile and remarkable operation. Please view our actual patient’s pre and post op photos which have not been retouched. Dr. Thomas Kotoske is well-known throughout Phoenix and the U.S. for his creative skill and customizing the Browlift procecedure for each individual patient. You are the most important person in the surgical process. Your goals, needs and expectations are recognized and, as closely as possible, met. The surgical plan is individualized to the specific patient, reflecting their individual desires and needs. While the facelift operation can dramatically reverse the effects of aging on the central and lower part of the face, it doesn’t address problems that can develop in the forehead and brow. Wrinkling and loss of skin tone often affect the forehead area and can lead to sagging of the eyebrows. This creates the illusion of a sad or tired appearance, despite how one may actually feel. It can also exaggerate the amount of excess baggy skin of the upper eyelids. Aging of the forehead can also result in deep wrinkles or frown lines, often creating an angry or unhappy look to the entire face. The forehead/browlift is designed to correct or improve these common problems. The browlift operation is often combined with other procedures to rejuvenate or change the appearance of the eyes, face, chin, or cheekbones. This creates a rested, more youthful appearance. The Operation: The browlift procedure can be done under local anesthesia with sedation (patient awake) or under general anesthesia (patient asleep). Surgery is done as an out-patient procedure, meaning you come in and go home the same day. Incisions are generally placed behind the hairline, or just at the hairline if you have a very high forehead. Improvements are made to the muscles of the forehead and brow area to reduce deep creases. The skin and muscles are then tightened to raise the eyebrows, and give a fresher, more youthful appearance. Following the procedure, it is normal to have some swelling and discoloration. This should resolve within 10 – 14 days. By placing the incisions in the hair bearing scalp, healing occurs with virtually undetectable scars. Any sutures or clips are removed within 10 – 14 days. The incidence of complications after the operation is low, but any surgical procedure has potential risks. These include bleeding, infection, scarring, asymmetry, temporary numbness, changes in the hairline, minor hair loss along the incision, and rarely nerve injury. Ask Dr. Kotoske if you are a candidate for the browlift, and see what changes are possible with this versatile and remarkable operation.